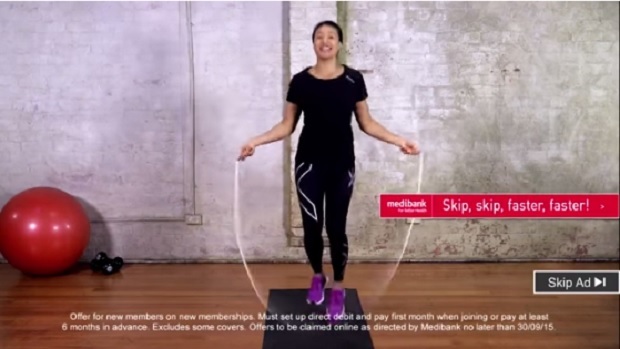 Medibank, a health insurer, promotes better health through exercise. They wanted young people to take out Private Health Insurance before the end of financial year, when premiums increase for those without cover. YouTube was the perfect environment to target our young audience, but 94% of people skip ads there, so how could Whybin TBWA Melbourne communicate Medibank’s message about better health? The results? Medibank saw a 583% increase in people choosing now to press the skip button, compared to YouTube averages.